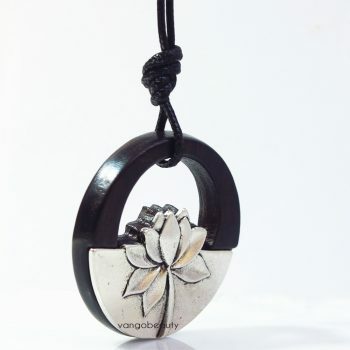 Gorgeous Hand Carved Sandal Dark Brown Wood Inlay Sterling Silver Lotus Pond . 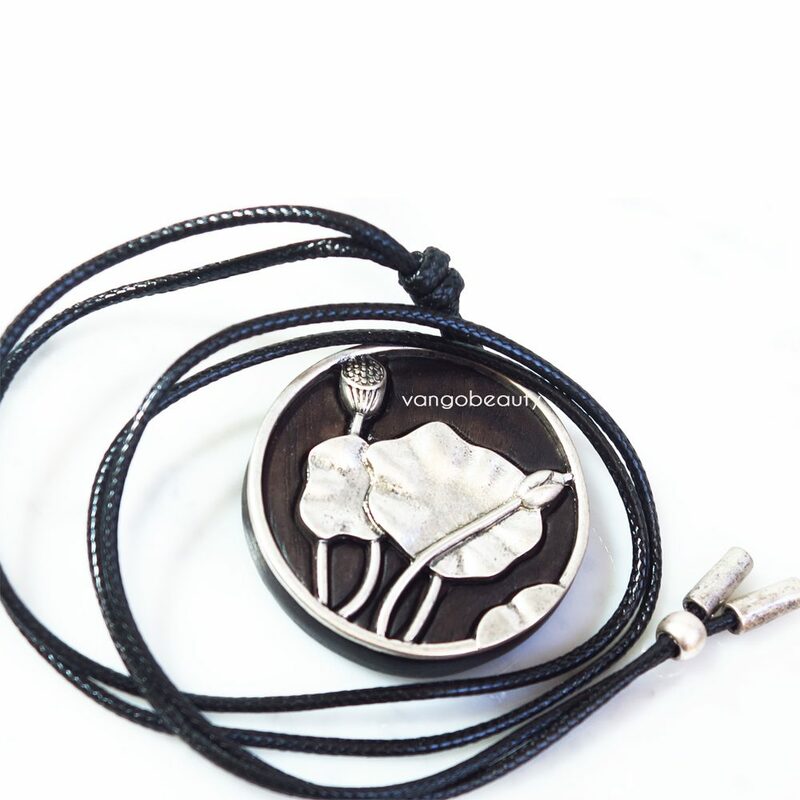 A Lotus Pond Pendant Approximately 2 inches . 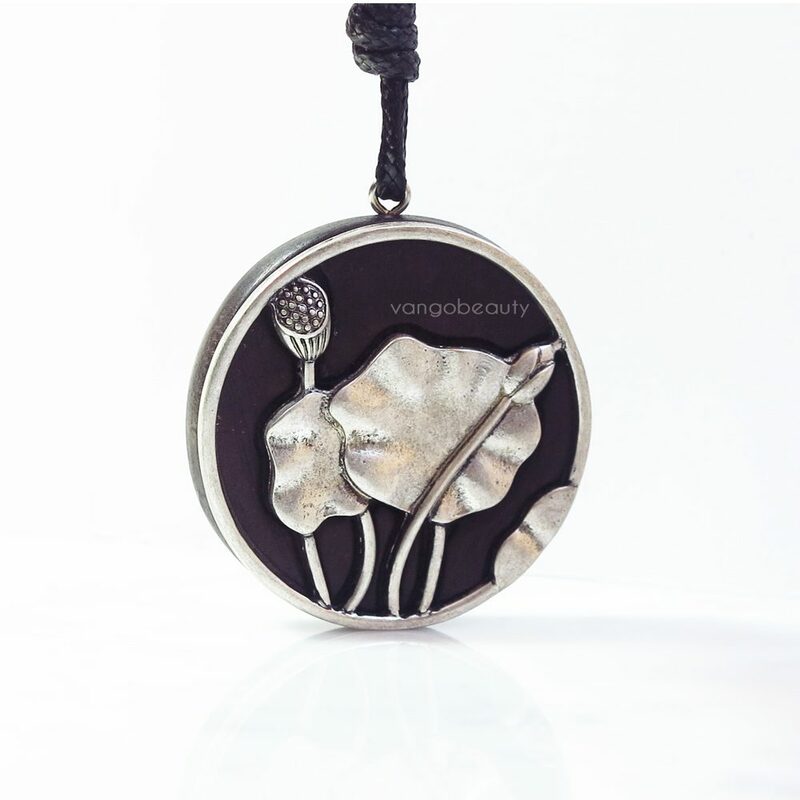 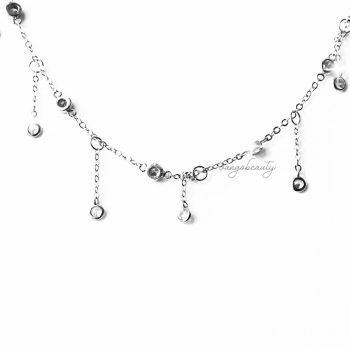 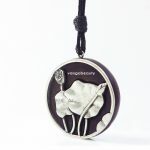 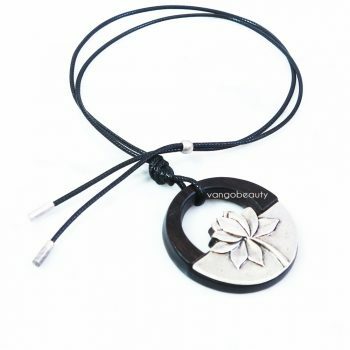 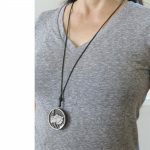 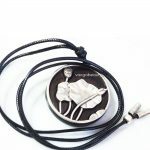 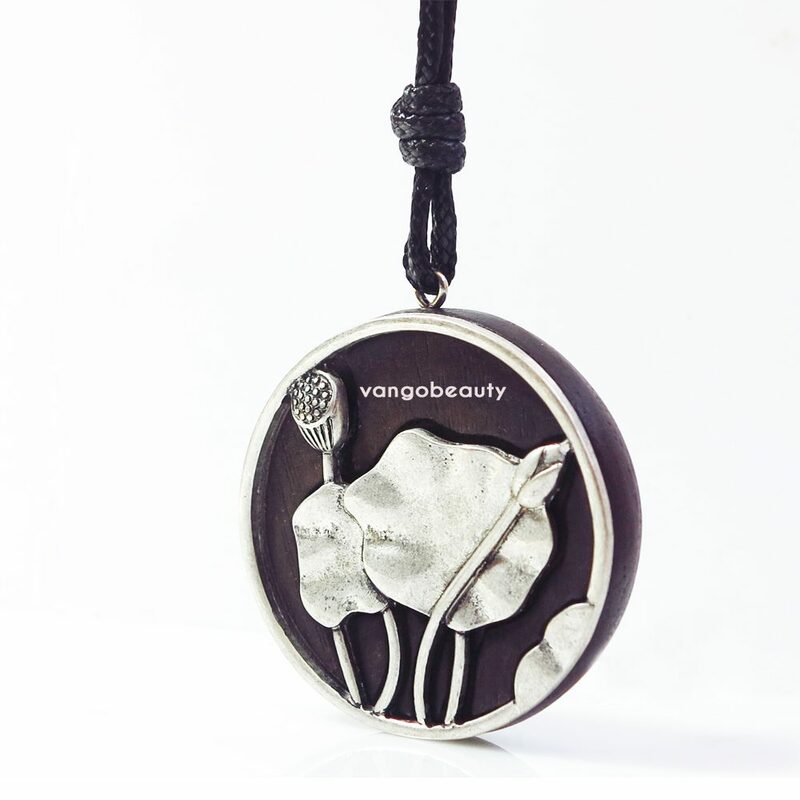 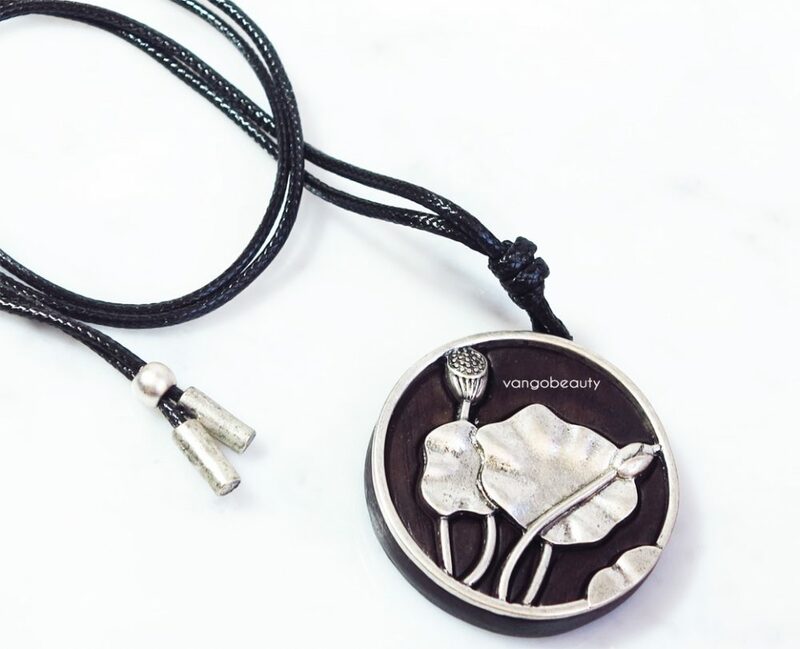 The pendant comes with an adjustable black Korea waxed cord , approximately 17 inches , ready to wear. 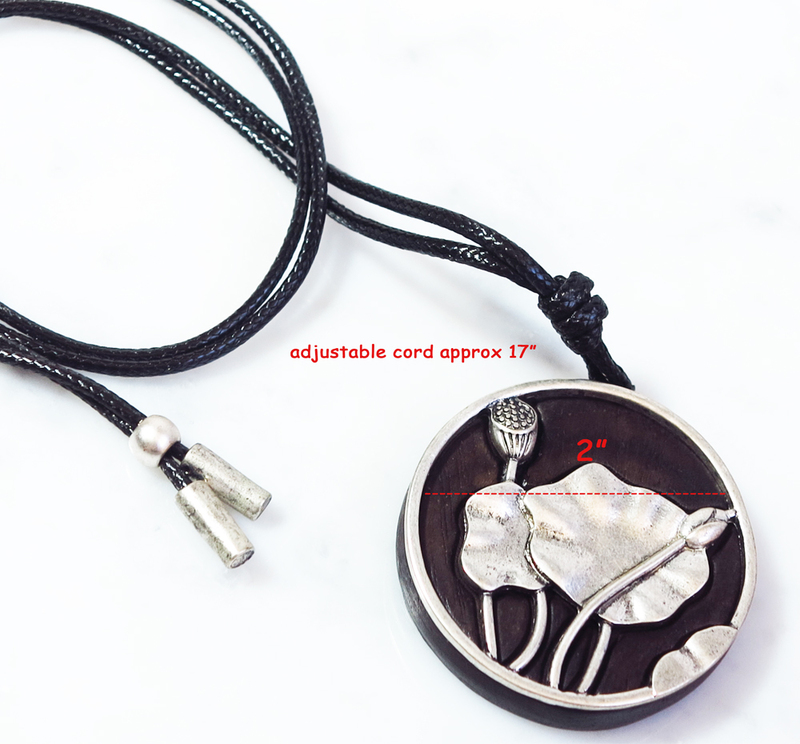 The waxed cord has a shinny snakeskin like texture and is a great non-fraying alternative to leather. 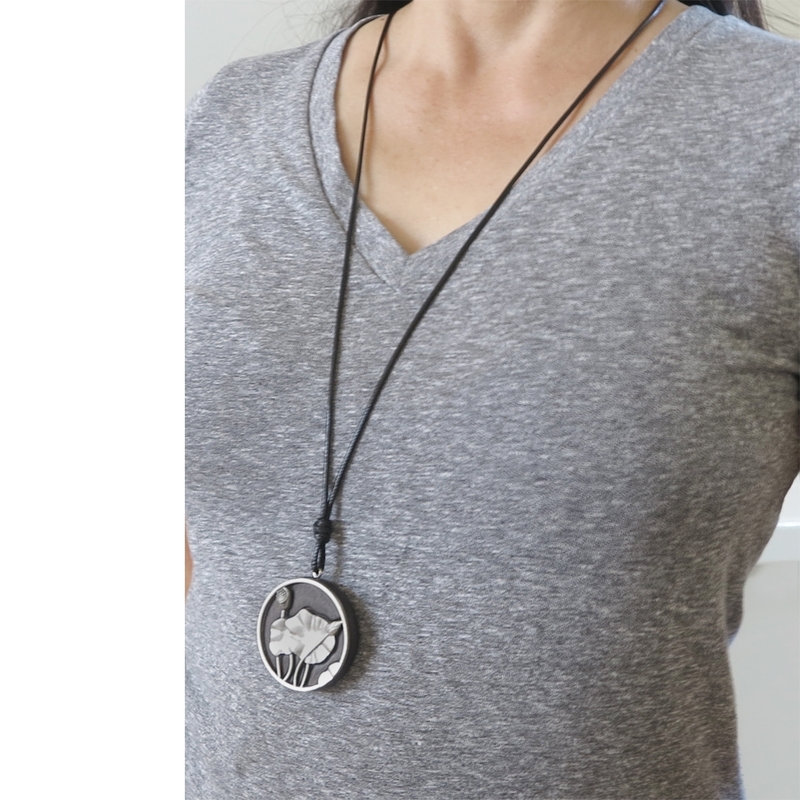 Minimalist Yet Supper Stylist .